Maryland Pink and Green: Lemon and Line: Flash Giveaway! Here's a special weekend treat for you! When David from Lemon and Line told me about the newest addition to the spring/summer collection, I was so excited. The Kelly Green and Pink bracelet is not yet available online and will be released in a few weeks. I could wear this bracelet Every. Single. Day. The nautically inspired Lemon and Line bracelets are handcrafted in Newport, Rhode Island and are available in several sizes for a perfect fit. David says, "In the smallest of nutshells, I grew up boating and have been fond of all things water since day one. I have seen too many "nautical" accessories that just are not all that authentic." Lemon and Line makes real nautical bracelets. The gorgeous and colorful bracelets are made of marine grade materials that are actually used on boats. Offered in a variety of styles and colors they'll complement any style or outfit! My friends at Lemon and Line generously agreed to sponsor a giveaway for Maryland Pink and Green readers. 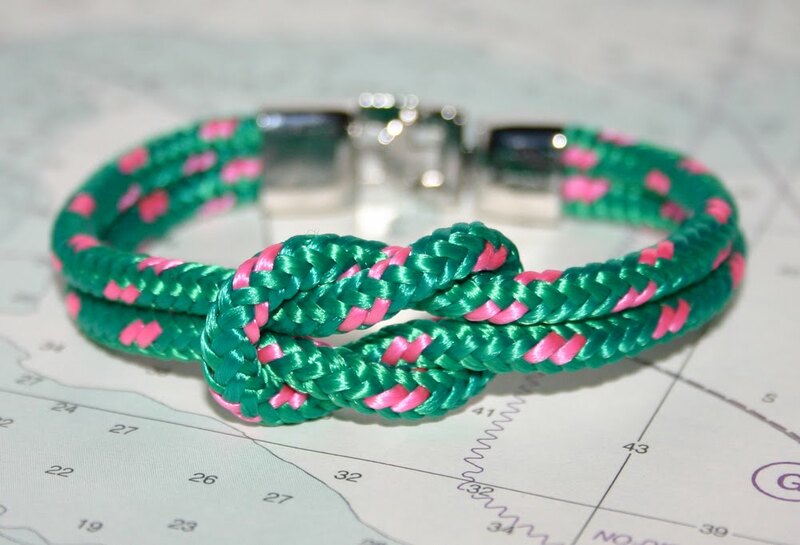 One lucky reader will receive a Kelly Green and Pink bracelet in the size she chooses. To enter, simply "like" Lemon and Line on Facebook and leave a comment below this post. Share this giveaway on Facebook by using the like or share tab for an extra entry. Leave an additional comment for extra entries. The contest ends at midnight on Sunday, January 29, 2012. Liked on Facebook. How could I not? Ah-dorable!! Already liked on Facebook. How cute! Love it! Already like them on FB. This is too cute to not share! I already like them on FB - these bracelets are just too cute! I like them the other day. Sharing for certain! Who doesn't love nautical? Add pink and green-perfection! I liked them on facebook! Cute stuff! I like Lemon and Line on Facebook. They make them right where I live and I love the bracelets!!! I also liked this post on Facebook so all of my friends can see the giveaway!! I like Lemon and Line on Facebook. Thanks for a great giveaway! I also liked this post on Facebook so people can see. I liked them on Facebook,but I adore them for my wrist!! I would love one to wear with all my Lilly!! Just liked them on FB! HOw cute! Like them and LOVE them! Thanks for the giveaway and have a GREAT day! I saw them the other day! Love them! They aeem to be all the rage now! These are so adorable! How have I never seen them before? Just "liked" them on FB and in reality! Just "Liked" on fb. Have the navy bracelet like this on my "wish" list. Just like on fB....Hope I win. LOVE this and cant wait to have one. Maybe for valentines day. hint hint. I liked them on facebook! If there was a love option I would have done that instead! I SOOO need one of these!! Just love it! I already "liked" Lemon and Line on Facebook! And lastly thank you! This is such a quick and wonderful giveaway! I liked it on Facebook! Love the pink and green combo. So cute. All of their bracelets are great. How cute! Hope to win!!! I have liked this on Facebook. I just love this - one of my favorite color combinations of all their bracelets!